First, I want to say I am humbled and awed at the same time by this journey which began last year for me, here in the Blogosphere. It all started because I felt as though my heart would explode if I did not find a way to share my heart for Him through the vehicle of writing. I barely knew what a blog was, when I stumbled on the means to make it happen. Thank you e-blogger and Google. I never expected that it would be all it has become. I never anticipated the many obedient hearts that were already sharing and expanding His Kingdom via the internet. My small puzzle piece fits into the final outcome He himself has envisioned and created. For that I am grateful. I am also amazed and I continue to live in a constant state of amazement and wonder as I stumble like the child I am through this wonderful Toy Store of life, with you. Would you join me as I celebrate and embark on an adventure? entreat others to do the same. I thought I would start with 31 Days because it seemed like a good place to start. I want to allow you time to make your list of 31 Bloggers so I thought I should share in advance of the start date. Initially I had planned to start on May 1st. But with the passing of my Father-in-Law and the funeral details, it was put on hold. God’s timing is perfect, though and this caused me to realize that anytime is a good time to start on this type of adventure. would be my start date. the entire Blogosphere in prayer. I am thankful to Melanie over at Only A Breath for graciously, freely providing the beautiful badge/button for this special project. 1. 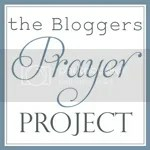 Commit and choose 31 fellow Bloggers to pray for with a start date. 2. Write up your “List of 31” Bloggers in a post to publish on your Blog. 3. Grab the Badge for your Post or Side Bar (or both, since it is so pretty!). 4. Come link-up here and leave a comment to let me know you are participating! 1. 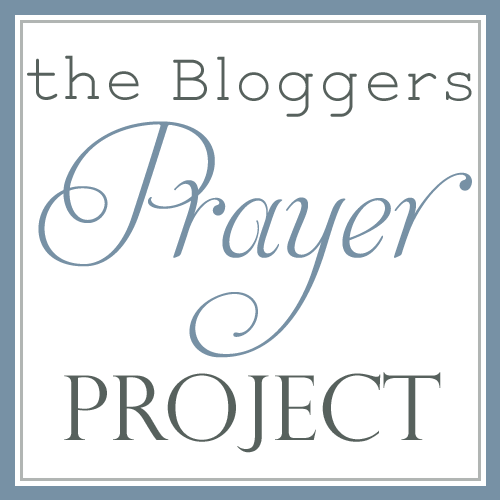 A daily Post with prayer for the Blogger you cover in prayer that day. (pray for some private requests if they desire and you are willing). * I will keep the link open for at least a month for you to take time to make your list and start date. Of course it is always a good time to pray, so jump in, share and let’s cover the Blogosphere in prayer! Dawn, you are such a blessing. Yes!! I am going to join you. I am working on my list of bloggers to pray for right now and will link it here tonight or tomorrow. I've already been praying for some but will ask the Lord to lead me and guide me. This is a wonderful thing you are doing!! Blessings! What a wonderful idea, Dawn. Barbie blessed me by adding me to her list so I am going to pray for the bloggers on her list and some of the other bloggers I know although I may not link up…Thanks again, Dawn! discovered this project through Barbie and am so excited to participate. Thank you for thinking of this and challenging us to join in! love it! What an encouraging idea! I just found out about it today, so I'm behind. I really would love to do this and will start to plan out my list and post my link to it soon.Thanks for this opportunity to be a blessing and support to others in the blogosphere! Dolly, thanks for stopping by- wonderful that you are on the list and also willing to pray along , too! Praising God for this whole endeavor! Nikki, praying for you and your commitment! Thanks for joining in! Peggy, thank you so much for sharing at your place! I really am planning to continue. Either keeping the link open or starting a second round with a new link. Either way…God is up to good things in the Blogosphere! Kate, Please link up at anytime. It really can be at your discretion. Would love for you to link as God leads- when you are ready! You are such a blessing! Sounds great…oh I noticed that my first comment was linked to my regular blog and I mentioned this at our team blog, Lighthouse of Prayer and started one (Linky Style there) Only 18 bloggers so far, I'm hoping others will add to make 31.Beautiful way to honor God and our blogging sisters! I so agree that God is up to something good, I just wish more would pray! Summer , you are such a blessing! Glad you are covered in prayer! Thanks, so much Ramona! I hope you are blessed by the scripture and prayer I shared. Thank you so much for sharing at your place!